Arrowe Park in Benoni is one of the many SCOUTS South Africa Camp sites in our country. 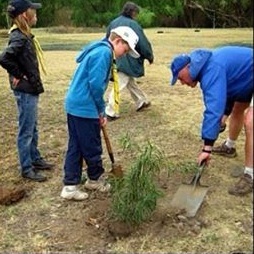 Peter Le Roux, Arrowe Park Committee member and Gauteng Rover Advisory Council Chair took the initiative and ,together with 1st and 6th Benoni Cub Packs ,organised the planting of 45 trees at the camp site. 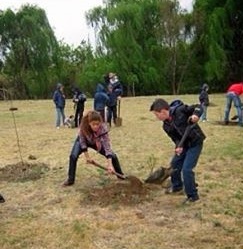 The 3 month project included the planting of indigenous and fruit trees as well as a number of plants that should form a hedge once fully grown. In preparation of the tree planting the campsite staff prepared the holes to make it easier for the children to partake. Once the warmer weather showed an appearance Cubs from two local districts planted the trees which were purchased at discounted rates with the support of Kemiri nursery and the Ackerman Family Foundation. The trees are not only beautiful, but are also a valued asset to Arrowe Park as they not only function as corner boundary markers for the campsites, but the summer shade and seasonal fruits that they will provide will also be a great benefit to the children and youths that frequent the camp site. The flowers and fruit they produce will also attract local bird and animal life. “Have you made a difference in your world? 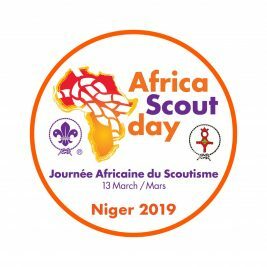 If your district, Group, Troop or Pack has been a Messenger of Peace or has contributed towards the preservation of our environment, Share you story with us pr@scouting.org.za.